The following excerpt is from an article on HGTV Remodel by Laura Fisher Kaiser. If you’re like a lot of Connecticut homeowners, you probably have at least one room in your house that you have considered remodeling. You’ve probably even found yourself sitting down expecting to spend a half-hour looking for design ideas, only to emerge 3 hours later, more confused than you were before. To help you cut through all the remodeling noise, we’ve put together this list of 10 home remodeling experts that you should be following on Twitter right now! In today’s sluggish economy, many families are coming together to help one another financially. In some of these cases, families are even combining into one household to help ease the strain on their wallets. Converting a garage into an “in-law apartment” is a classic example of the ways in which younger and older generations work together to help one another. A well-executed bathroom remodel can add value to your property while transforming one of the most highly used spaces in your home. 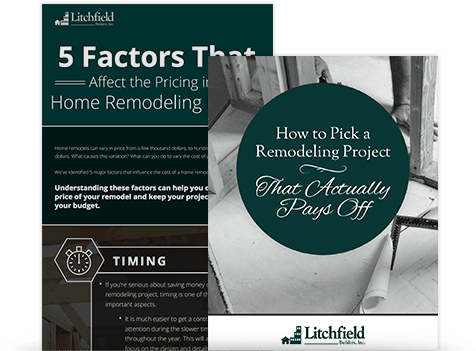 It is only logical that a poorly executed bathroom remodel could reduce the value of your home and cost you thousands of extra dollars in repair. Beware of these common mistakes as you embark on your personal bathroom remodeling project.